Unless you’ve been hiding under a rock this past week, and who could blame you given the current political climate, the Chicago Cubs won the World Series. Breaking a 108 year losing streak, the Cubs won an epic 10 inning, Game 7; complete with a rain delay. And in those tight moments when the game was tied, the question always deferred to who was warming up in the bull pen. There was the tireless analysis of how many innings the relief pitchers had pitched, followed by the question, “How much more does he have left?” As tennis players, we can appreciate the repetitive, momentum of a baseball pitch because it is so akin to a serve in tennis. Both tennis and baseball have similar motions, but they generate very different results. Some tennis serves have been measured at over 150 miles an hour, as compared to a baseball fastball, at a little over 100 miles per hour. It is interesting to note the similarities in motion between the two sports in order to better find ways to perfect our own service technique. 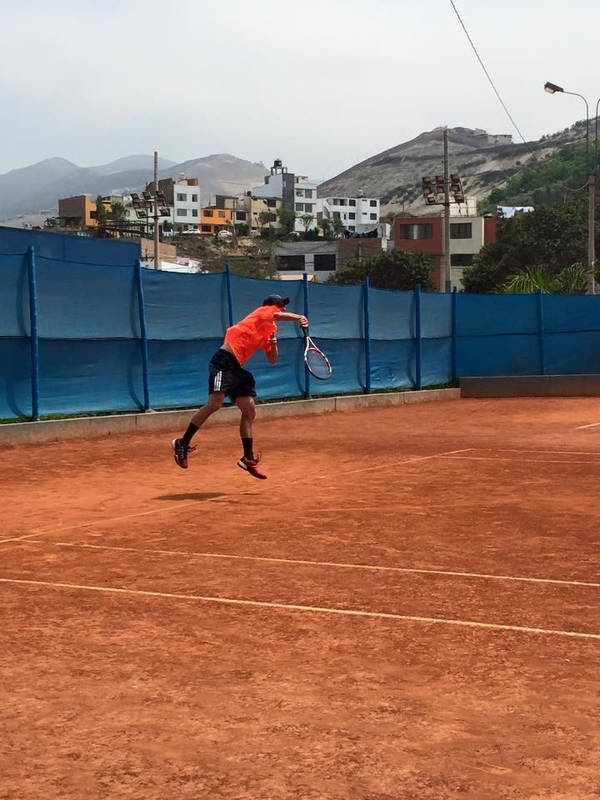 In the wind up portion of a pitch, or a serve, the upper body remains relatively alike. 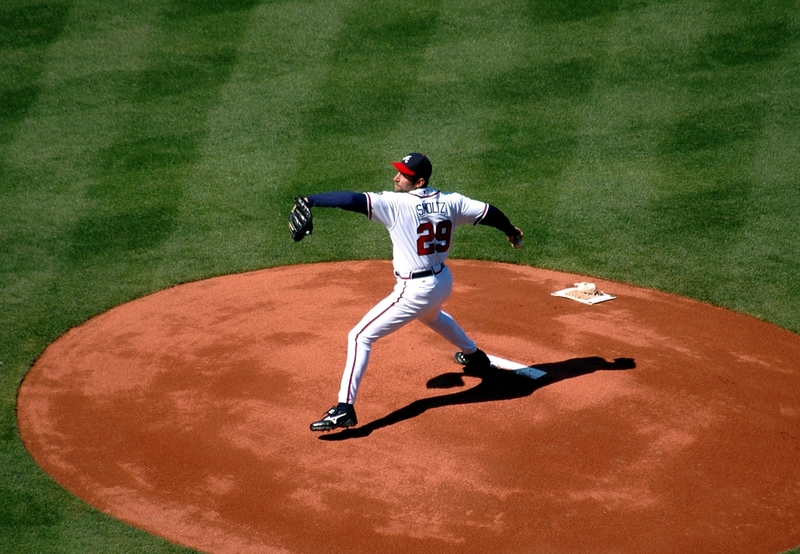 The lower portion of the body in baseball is marked by the pitcher stepping backwards to allow the lead leg to step forward and the trunk to coil. In tennis, however, a step forward is generally a foot fault forcing the legs to flex slightly more and momentum to go up. The important thing to note, is that in both tennis and baseball the upper body rotation is crucial as a means of coiling, or loading the body. The next progression in the execution phase, is the dropping of the arm. In this moment, the forearm is almost horizontal to the tennis court. Players like Serena Williams and Novak Djokovic are great examples of the “racquet drop,” allowing them simultaneously have their arm flexed, or relaxed, but still obtaining momentum for an upward strike. In this position, the racquet is lining up on edge to move up, and ultimately out. Finally, the serve concludes with pronation. Much like a fastball pitch, after the ball releases from the hand, the natural movement is for the wrist to snap and the hand turns outward. As the racquet moves from an “on edge” position, to striking the ball, and ultimately to its outward rotation, the motion is 180 degrees. In order to become better tennis players, we have to become better pitchers. Learning to throw a ball is crucial to mirroring the needed motion for a serve. In working on our games, or our kids (especially our female athletes) we need to channel our inner Cubs reliever stand out, Aroldis Chapman and set our own personal winning record.